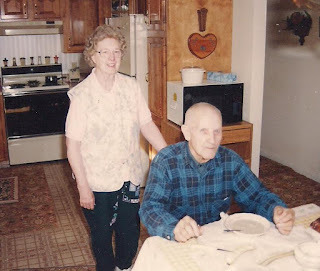 When my elderly parents moved in with my husband and me twenty years ago, I had been writing for publication for about five years. Knowing Mom’s and Dad’s needs were great and would require much of my attention, I resigned from my part-time teaching position and concentrated on taking care of my parents and publication. At times I became very discouraged, not only because of the time I spent away from the computer but also because of the lack of publishing contracts. (A few had come my way for short stories and articles, but now I was concentrating on book manuscripts.) Then after meeting an editor from Zonderkidz at a writers’ conference in 2001, I was granted a four-book contract for a tween novel series, the Keystone Stables (which eventually expanded to eight books). But my frustration only increased as I had writing deadlines to meet while my parents’ doctors’ appointments, grocery shopping trips, and lunches at McDonalds mushroomed. On top of that, the noise in my house became a constant irritant of pots and pans banging in the kitchen, loud TV, and visits to my desk to see how I was doing or to solve a major crisis like finding a missing set of keys. “Lord, how can I do this? It’s impossible,” I prayed dozens of times each day while trying to write. Then the Lord, in his still small voice would whisper, “This too shall pass. You CAN do this; you will do this.” Relying on God’s grace and strength, I plugged on with my responsibilities and writing, taking a short respite every Tuesday afternoon with one or two writer friends by hanging out at a local café, having a quick lunch, and working on our laptops for a few hours. Today Mom and Dad have been in heaven for five years and 17 years respectively. I have 20 books published, most of them written when my parents lived at my house and demanded more from me than I thought I could ever give. But now as I reflect on that time of caregiving, which was so very difficult, I thank God for the privilege of taking care of my parents and relying totally on Jesus for the grace and strength to meet the challenges I faced. 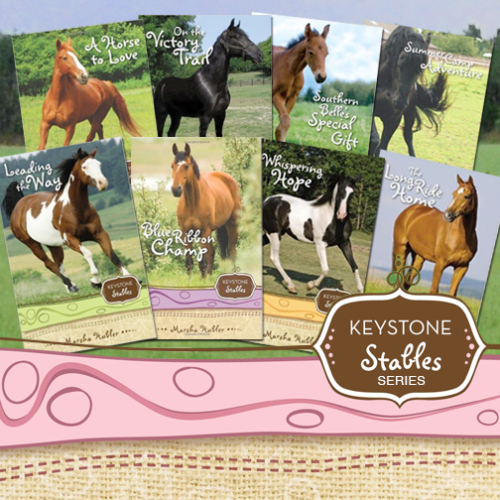 Today, the Keystone Stables Series is a best-seller and is still in print. For those who are taking care of elderly parents or even grandchildren and find themselves frustrated to tears, take heart. “This too shall pass,” and you’ll also find that our God truly is a faithful, loving, caring God, who will see you through. 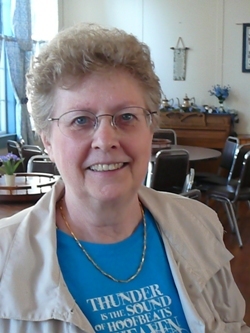 Marsha Hubler lives in central PA, with her husband and two dogs. She has a master’s degree in education. Her latest release is SNOW, PHANTOM STALLION OF THE POCONOS, a novel for tween horse lovers. She's the director of the Montrose Christian Writers Conference and a frequent speaker at writers’ conferences.